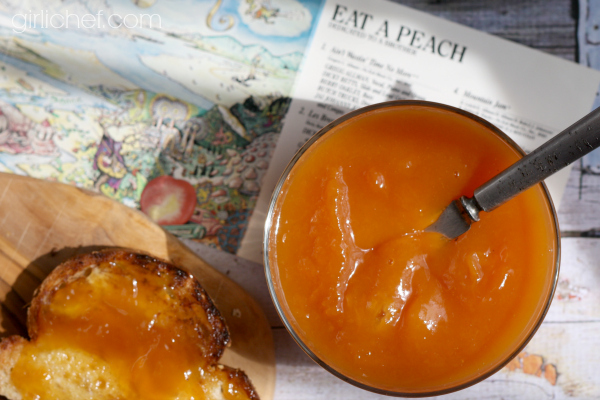 Peach Amaretto Jam + 106 Peach Recipes to celebrate EAT A PEACH DAY! 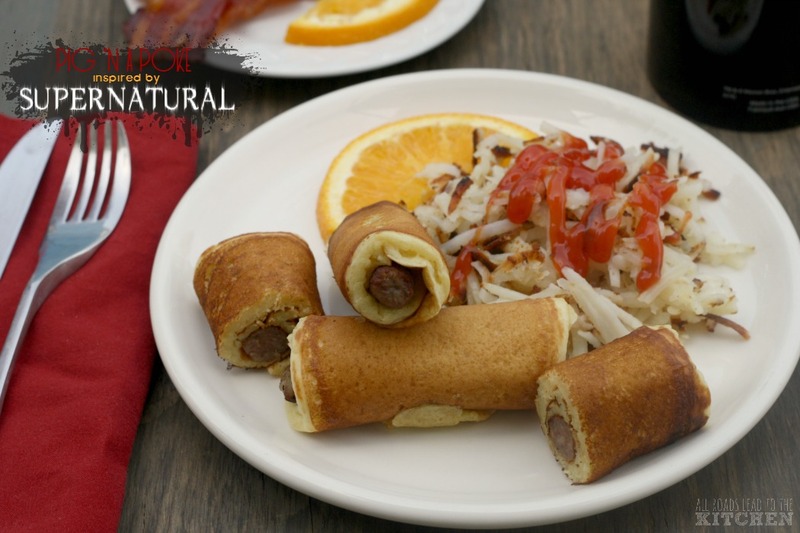 There are some (okay there are many) food holidays that I can't resist. One of those holidays falls today, August 21. 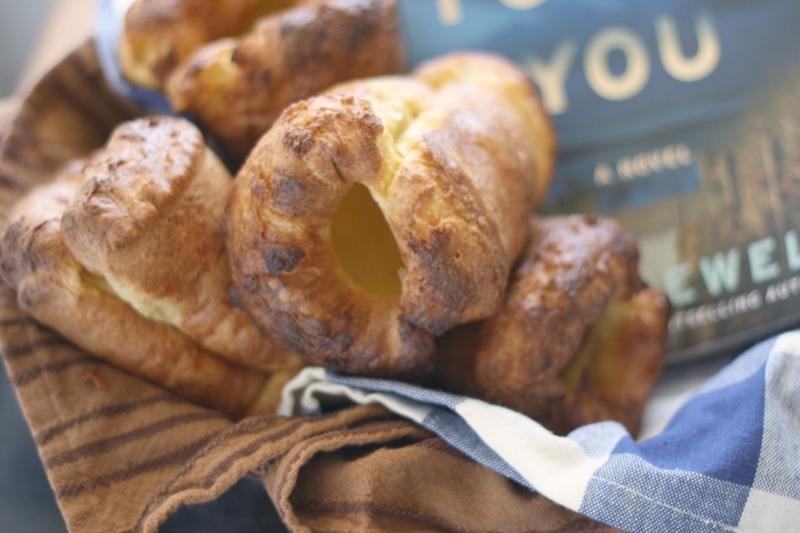 Yes, it has to do with my love of the late summer that is soft and fuzzy on the outside, and sweet and juicy on the inside. 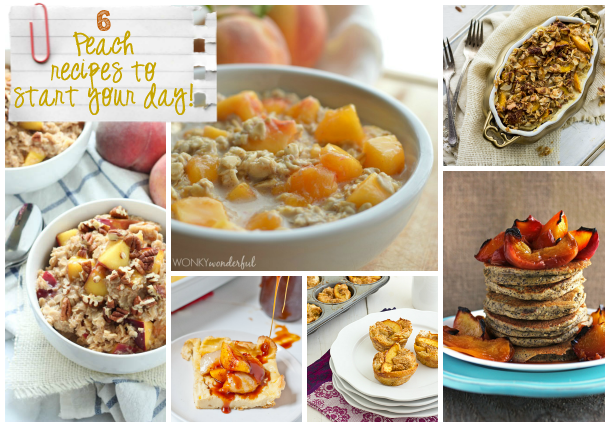 HOWEVER, it's not "National Peach Day" or "Peach Pie Day", it's one better. 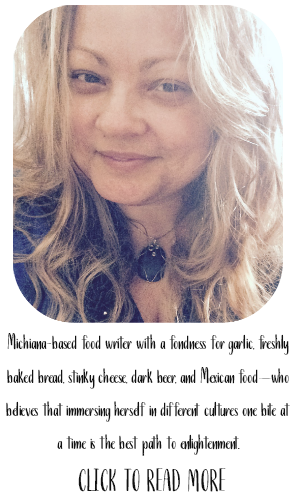 It plays not only to my "foodie" side, but also to my affection for music, specifically The Allman Brothers. 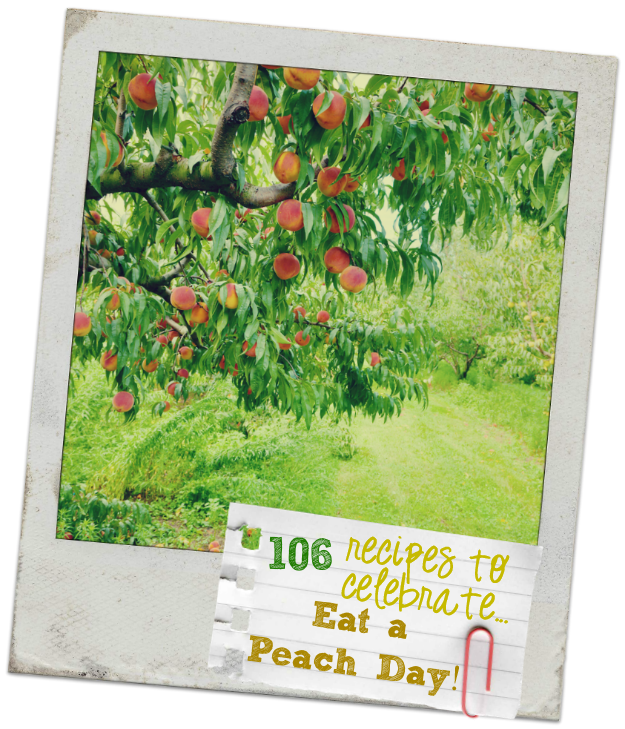 Today is EAT A PEACH DAY! 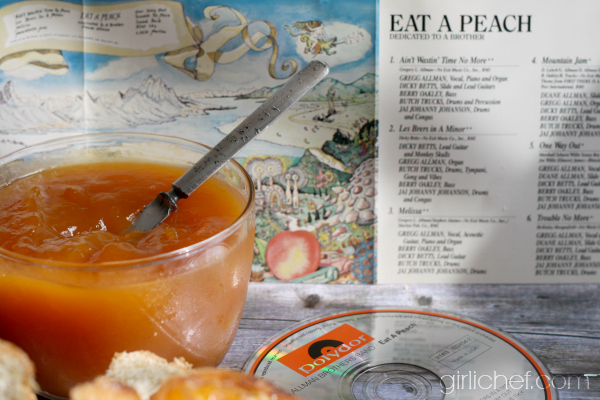 Eat A Peach is the name of my favorite Allman Brothers album. With classics like Melissa, Ain't Wasting Time No More, and Mountain Jam, just listening to the album conjurs up warm summer nights and peaches picked straight from a Georgia (or Michigan for me) tree. 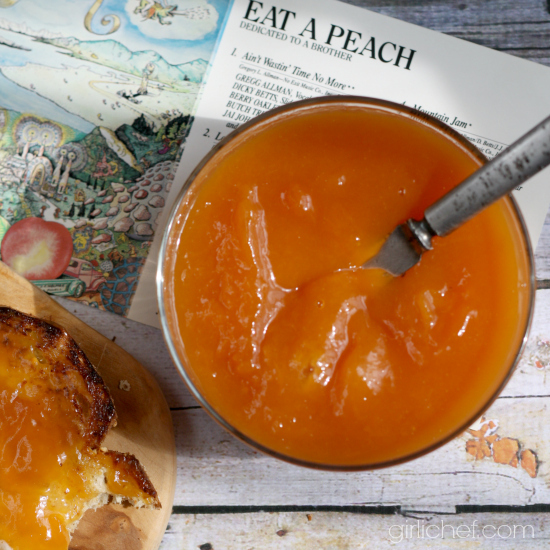 So, in honor of Eat A Peach Day, I really wanted to make some peach jam and call it "Mountain Jam" (like the song). Now my local SW Michigan peaches aren't plucked from trees in mountain orchards, so I suppose I can't rightfully call it that. But secretly (or not so secretly), I'm still going to. 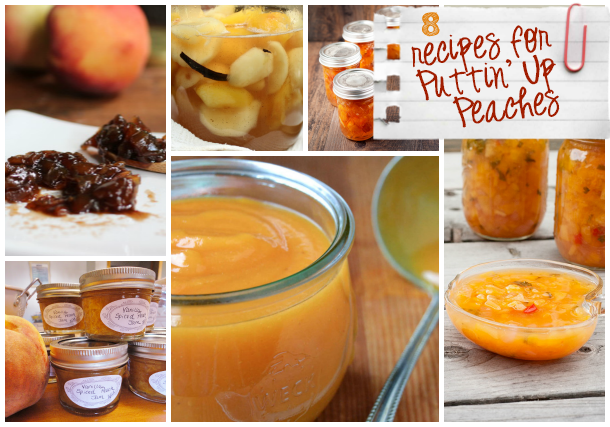 A simple peach jam recipe infused with amaretto liqueur. 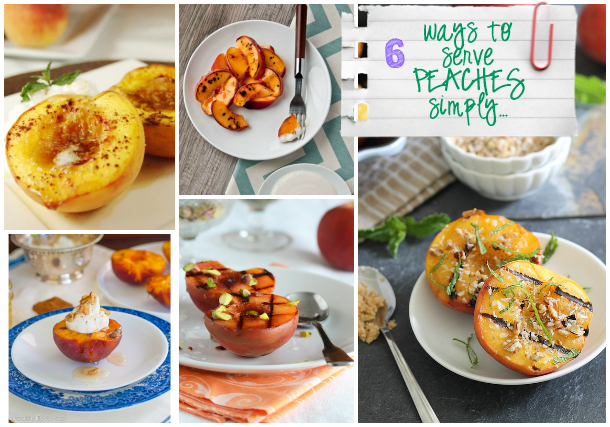 Rinse the peaches, then cut them (unpeeled) in half, and set 4 of the pits aside. 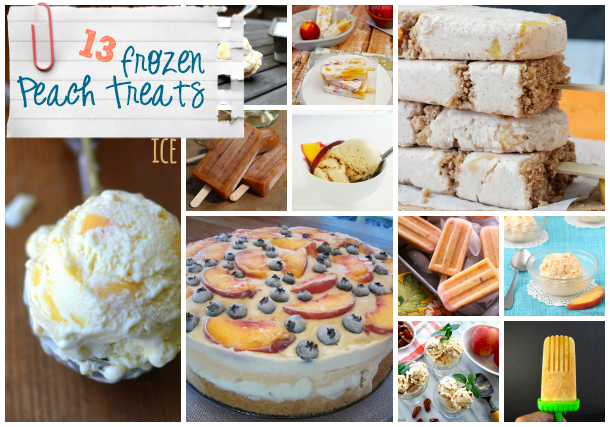 Place a small plate or saucer in the freezer. 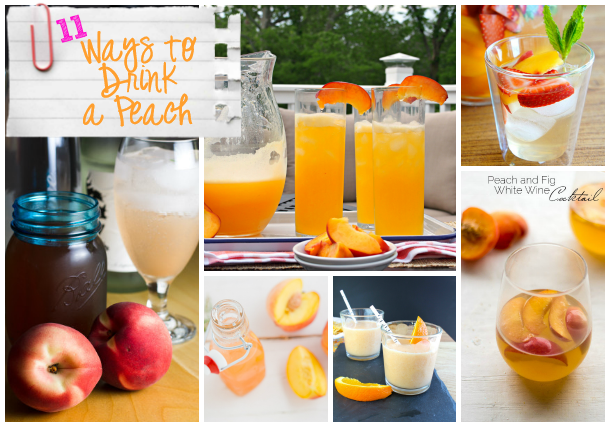 Place the peach halves in a medium-large heavy-bottomed pot; add the water. Bring to a boil, cover the pot, then reduce to a very low simmer for 20 minutes. 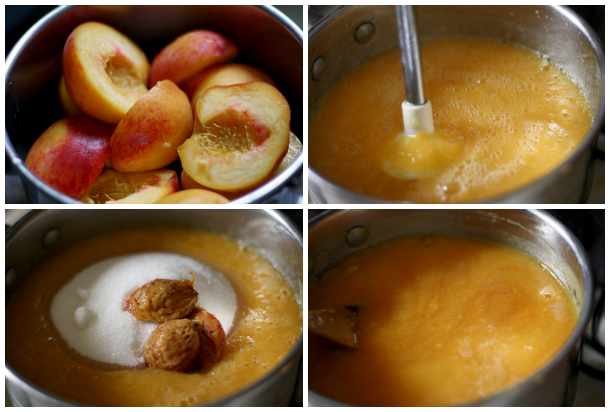 Use an immersion blender to puree the peaches with the water in the pot until smooth. Add the sugar (more or less to taste) and the reserved pits. Bring back to a boil, then reduce to a gentle simmer for 1 hour, stirring often with a wooden spoon to keep from sticking. Remove the plate from the freezer and place a drop of jam on it. 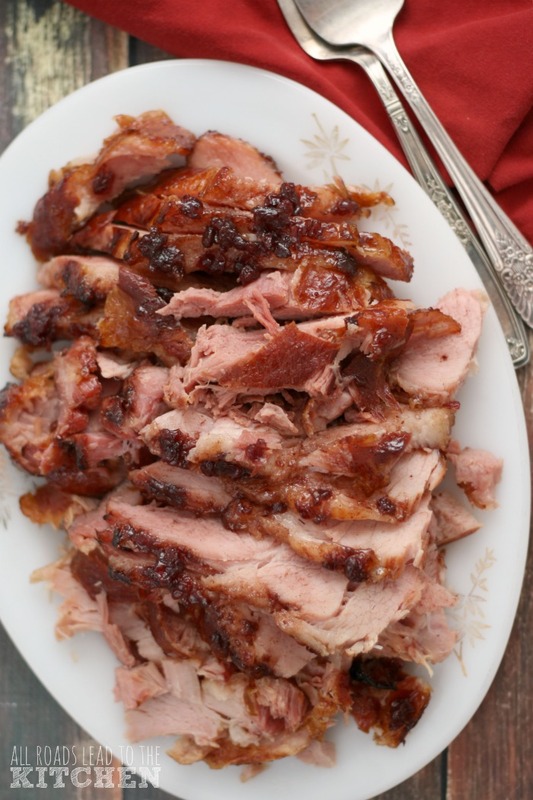 When you tilt the plate, the jam should cling to it, moving just the slightest big (not running down the plate). Lift the peach pits out of the pot and discard. Stir in the amaretto and continue to cook for another 1-2 minutes, stirring. 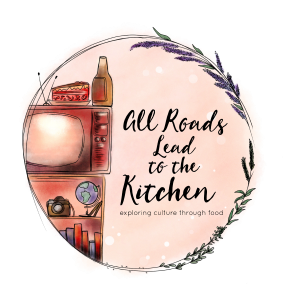 At this point, you could pour the jam into warm sterilized jars, seal with lids, and turn upside down to seal, if canning it. If you don't want to can it, simply pour into jars and allow to cool before putting on the lid and storing in the refrigerator. And though the jam is amazing, it's just not enough. 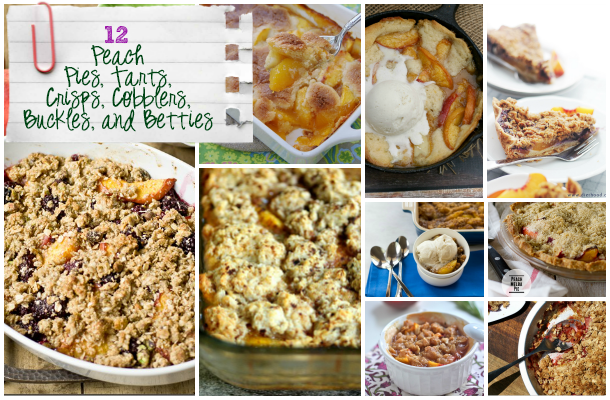 I felt like the day deserved even more celebration, so I asked some of my blogging friends if I could share some of their delicious recipes featuring PEACHES. And they delivered, BIG TIME. 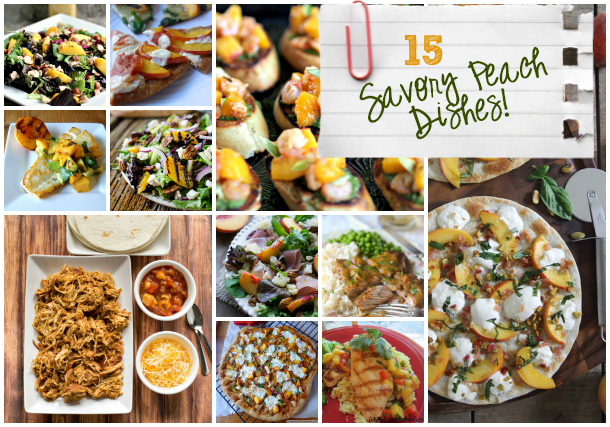 Below you'll find links to 105 MORE RECIPES featuring the glorious peach. 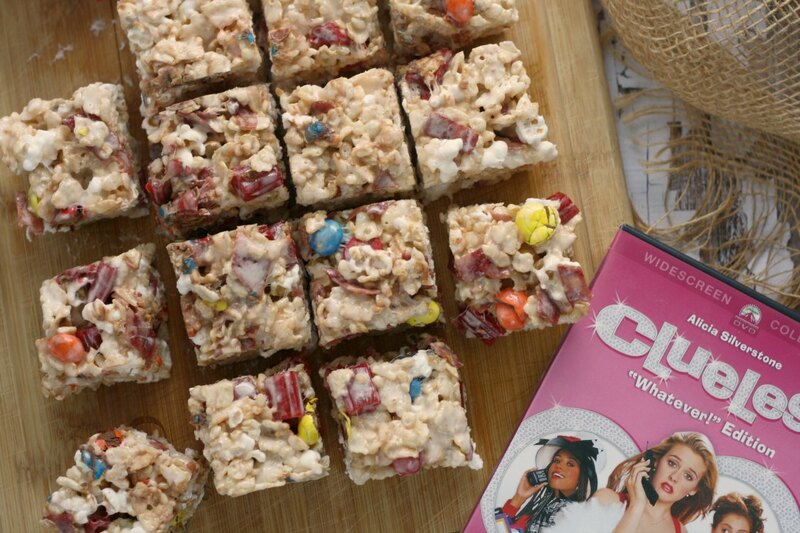 There's a little bit of something for everyone and every occasion. I tried to divide them up into easy-to-navigate categories. 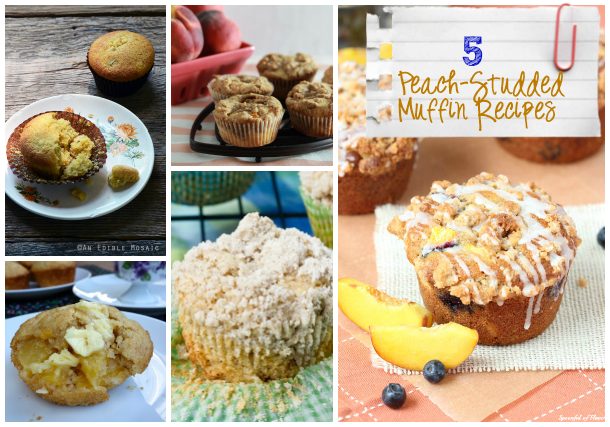 You'll find peaches for breakfast, peaches to drink, peaches from the freezer, grilled peaches, peaches enclosed in bread, muffins, and cakes, peaches that cater to your savory side, recipes for preserving those amazing peaches, and of course peach pies, cobblers, crisps, crumbles, and buckles. 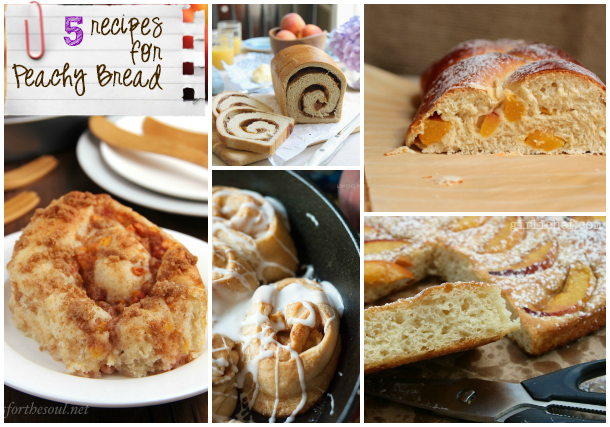 Let's just call what's to a follow a peach-lover's dream! 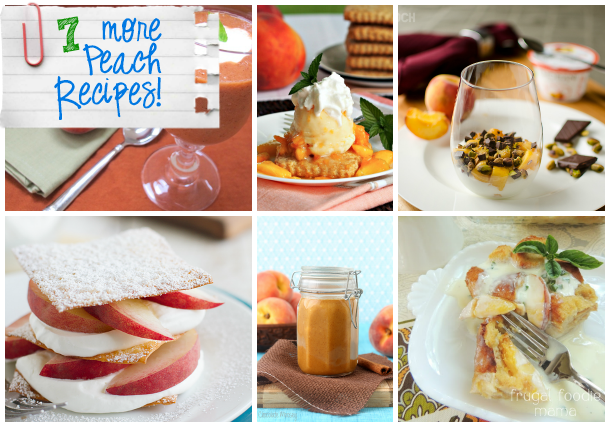 I hope you'll scroll through and find some must-make peach recipes to enjoy today, and through the rest of peach season. 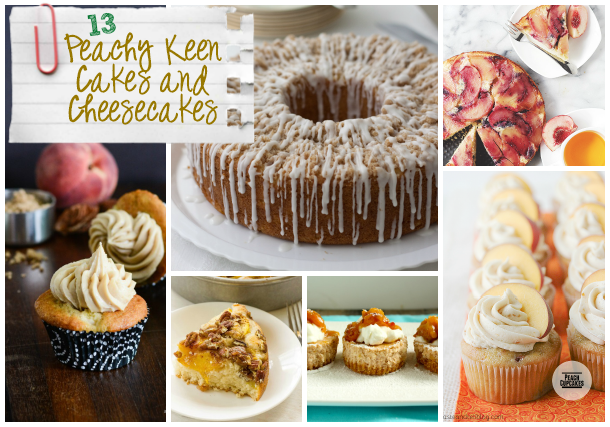 Be sure to drop by and visit the bloggers who made the recipes that make your mouth water! 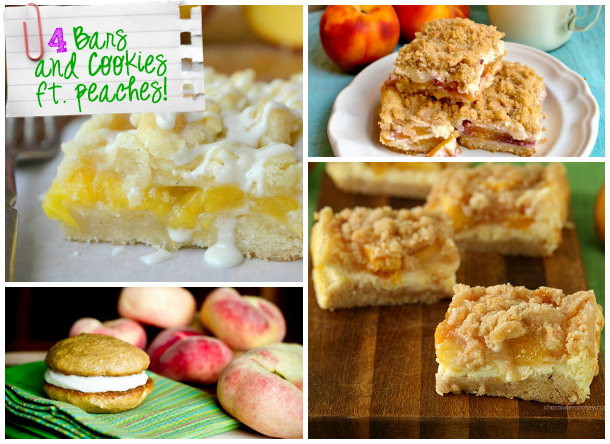 Follow Heather Schmitt-Gonzalez's board PEACH recipes on Pinterest.